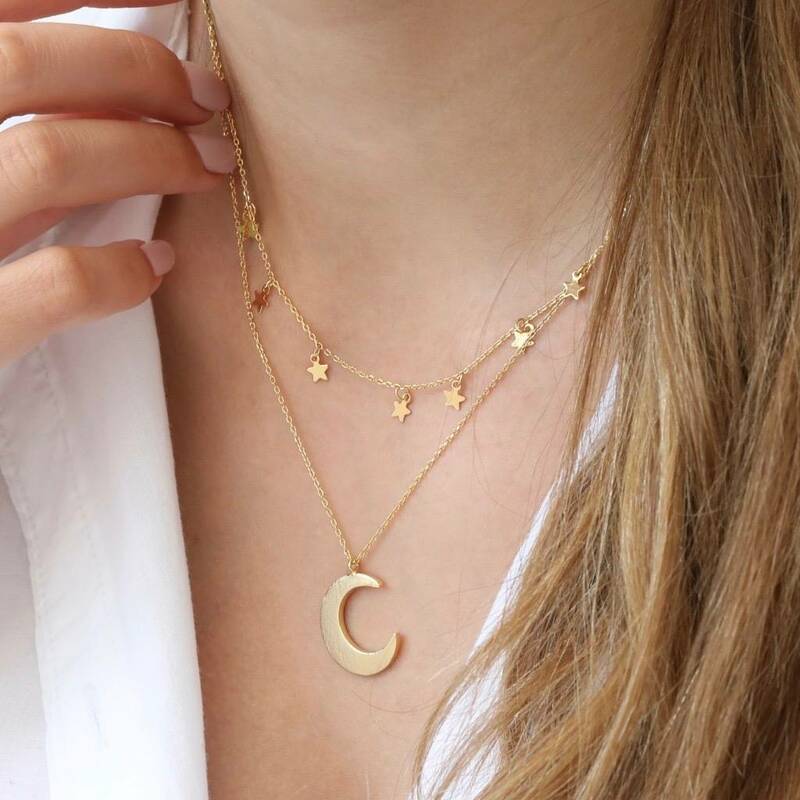 A gorgeous gold necklace featuring two chains, star charms and a crescent moon pendant, from the Lisa Angel Jewellery Collection. 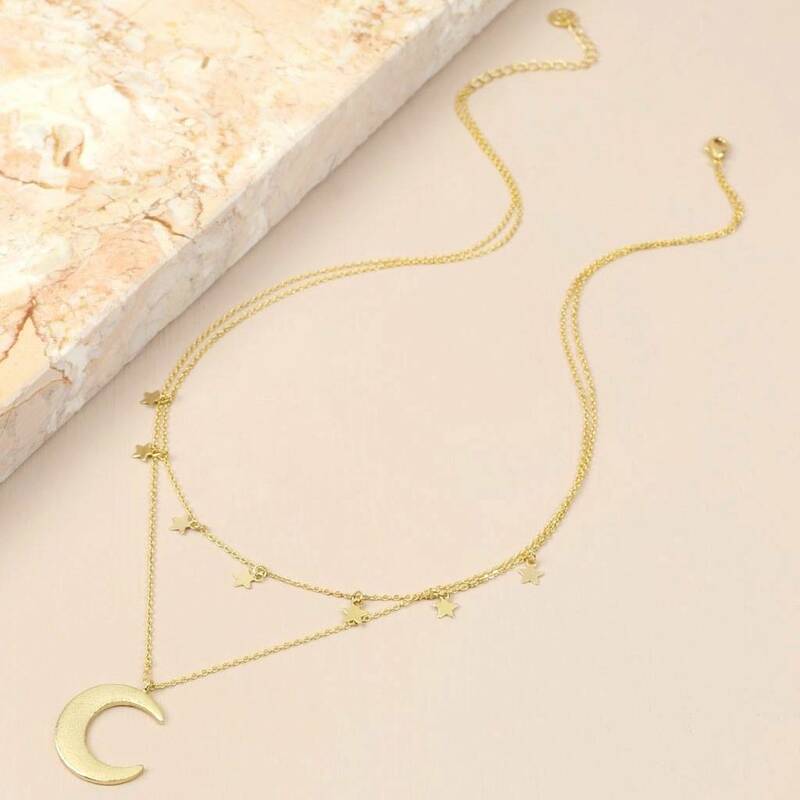 Featuring a short chain with tiny star charms linked along it, and a large chain with a a flat textured crescent moon pendant suspended from it, and finished with a lobster clasp fastening and extender chain. 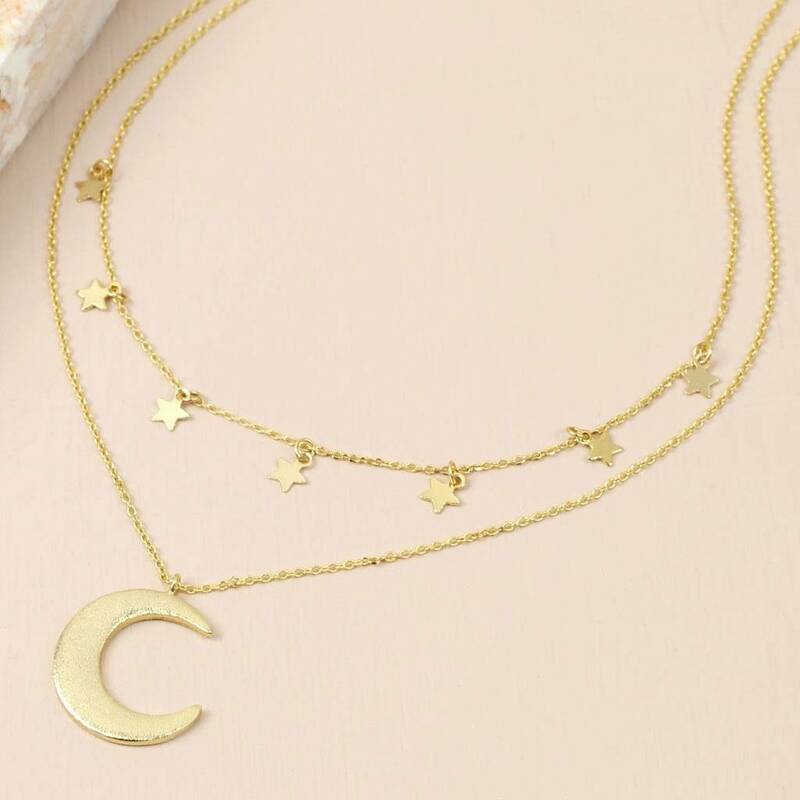 Pair this starry accessory with a low cut dress, comfy sweatshirt, or open shirt for an on-trend look you'll adore! This must-have piece of jewellery is made of 18ct gold plated brass.